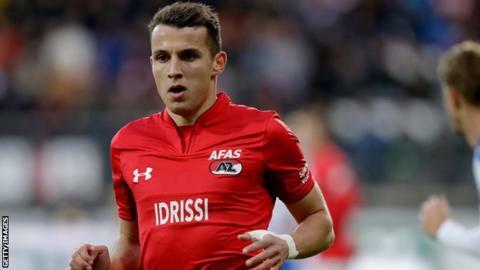 AZ Alkmaar's Oussama Idrissi could make his debut for Morocco against Malawi next month. Morocco's head coach, Herve Renard, has welcomed the decision by Dutch-born winger Oussama Idrissi to represent the Atlas Lions despite having played at youth level for the Netherlands. "His skills and professionalism will be an additional asset for the Atlas Lions," Renard said. "I was born and raised here with the standards and values of this beautiful country. I am a footballer and I had to make the decision with my parents. I wanted to make the most of myself," said Idrissi. Morocco, who have already qualified for this year's Africa Cup of Nations in Egypt, play their final qualifier away to Malawi on 23 March when Idrissi could make his debut for the team.